Read our Dental Implants E-Brochure! In the past, replacing missing teeth meant wearing a denture or having a bridge made, but not anymore. Dental implants can replace your missing teeth with a more permanent option – one that has the potential to last an entire lifetime. At Smiles in Currambine, our dental implant patients can have their entire treatment completed right here in our clinic. 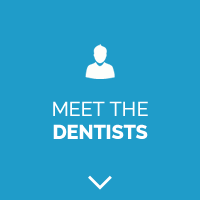 If you have any questions about how a dental implant might suit you, contact our friendly team today on (08) 9305 4888 . Free dental implant consultation offer! Are you looking for a long-term tooth replacement option and alternative to wearing dentures? 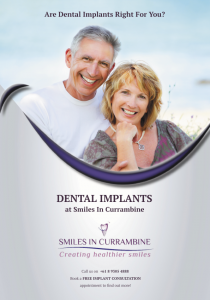 Contact Smiles in Currambine today to schedule a FREE dental implant consultation! Dental implants are independent tooth replacements that do not rely on adjacent teeth for support. Instead, each one functions as a prosthetic tooth. An implant looks similar to a screw made from titanium. It is placed directly into the bone, and functions similar to a real tooth. In fact, the body typically develops new bone around the implant, which secures it firmly into place. Because dental implants are independent of your other teeth, they are very easy to care for. Simply brush and floss them daily, and schedule regular check-ups at our clinic.